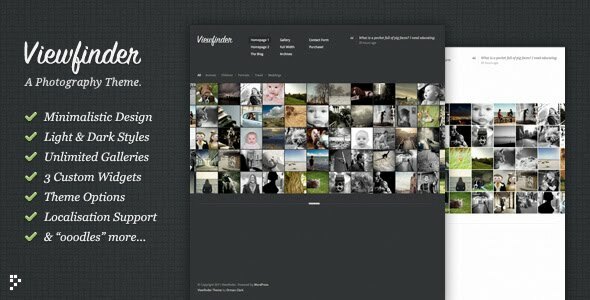 Viewfinder is a photography theme created by ThemeForest which provides the perfect showcase for your art. There are nothing that will fall out out fashion, just a timeless design that focuses user’s attention on you and your talent. Viewfinder is perfect for photographers which need a simple yet elegant showcase for their artwork. Coming in two different flavours, light or dark, and with the ability to add an unlimited number of galleries.